Besides choosing a beautiful and suitable gym suit, the hairstyle is also the most important thing. Who dares to say we don’t need to look beautiful when going gym? Check out the post to learn how to make beautiful gym hairstyles and still be comfortable when doing exercises. 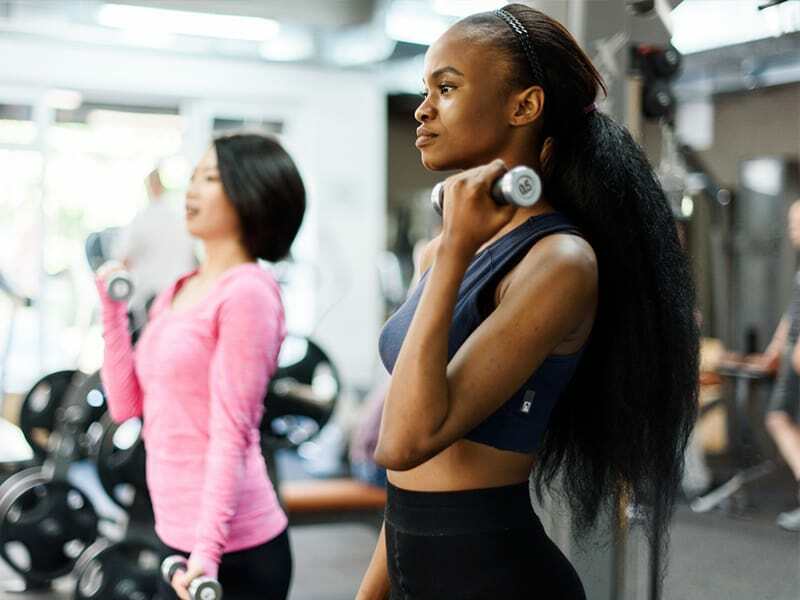 There are different gym hairstyles for each type of hair. First, let’s dive in the attractive hairstyles for women with long hair. This simple low pony is excellent when being both polite and proper for girls to the gym. All you need is a rubber band to fix the hair and gel to keep your hair in place to avoid tangles. Also, you can be low in a round movement. First, comb the hair smoothly, so it is easy to create and then straighten the hair or to curl naturally. Spray some water on the top of the head to keep hair moist. Pour the gel into the palm, and rub evenly, then gently touch the upper part of the hair. Tie your hair back in a ponytail, tie it low, tighten your hands and fix it with a rubber band. After that, take a part of the bottom hair and wrap it around the tied part to cover the rubber band. 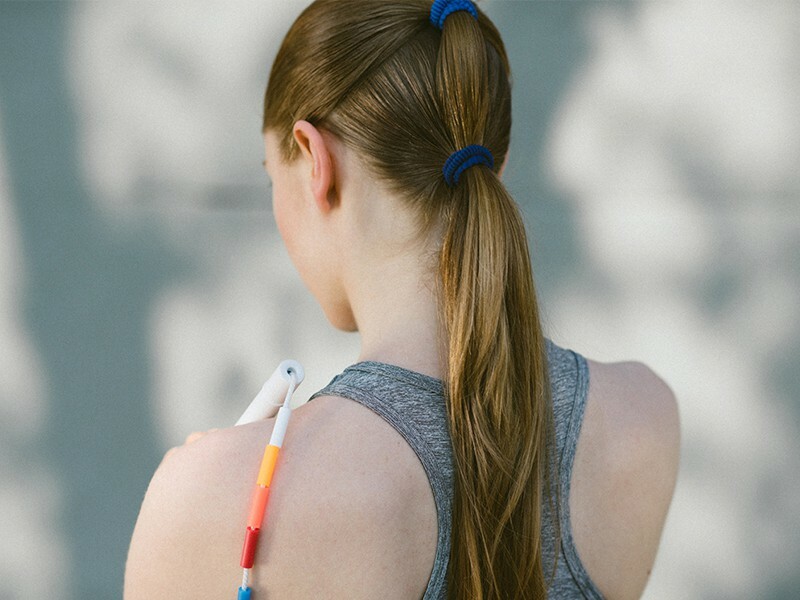 Finally, use a flat iron to stretch the ponytail again if you wish. We all know that braid hair has a lot of styles such as plaiting fishtail hair, braid hair and so on. But when practicing the gym, basic braid hair is still the most suitable. However, if you don’t want to have simple braid hairstyle, you should refer to French Braid. Try French braid hair and using an elastic band to fix it. Remember to tighten your hands if you don’t want a lock of hair to drop that affects your concentration. Comb your hair smoothly to remove tangled hair. Take all the hair sections on top of the head and divide them into three long curls. Take each lock in the first two curls to lump in, pay attention to hand tight. Continue braid until the rest of the hair is left, finally using the spring to fix the tail. Spray glue on the braided hair to keep the hair sticky. If you are looking for the dynamic gym hairstyle, the braided bun is the ideal choice for you. Braided bun hair will help you look both energetic and cute. You can also move freely without fear that your hair will fall off or scratch. Use a comb to brush your hair straight and smooth so that the bun is not tangled. Turn your hair back in front of your head, then use a fixed hair band at the top of the ponytail top. Using clips to fix the strands of hair flattened out. Use your hands to twist the ends of the hair clockwise. Then, roll in a circle on the top of the head, so it is neat. Remember to use your hand to stroke it and pinch it with pins for the curls to be removed. Finally, use hair spray to keep it longer. Some people think that it is difficult to make impressive and beautiful hairstyle for short hair, especially gym hairstyle. However, there still are highlighted hairstyles which help you stand out of the crowd. One of the most simple and effective ways to make a better look with short hair is to use a spotty hair band. This accessory helps make your sister’s bangs neat and unflattering. Whether the hair is long or short, straight or curly, the spotty hair band is also extremely suitable and gives you the typical sport style. 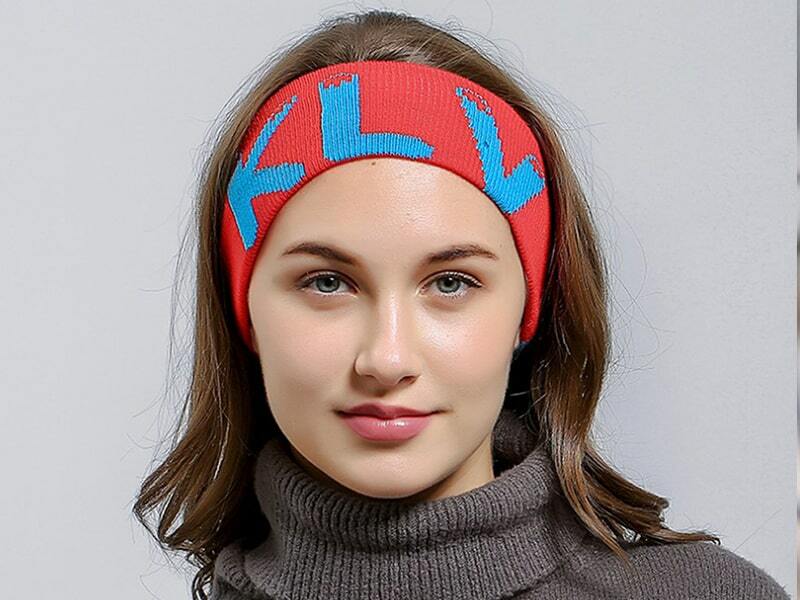 Besides, the spotty hair band prevents sweat from flowing down the eyes during exercise and help you hands-free. Different from the traditional braid style that requires a certain length of hair, Thai braid hairstyle takes hair from the top of the head so no matter how short the hair is. The plaited hug with a beautiful little tail will make you look more neat and youthful. 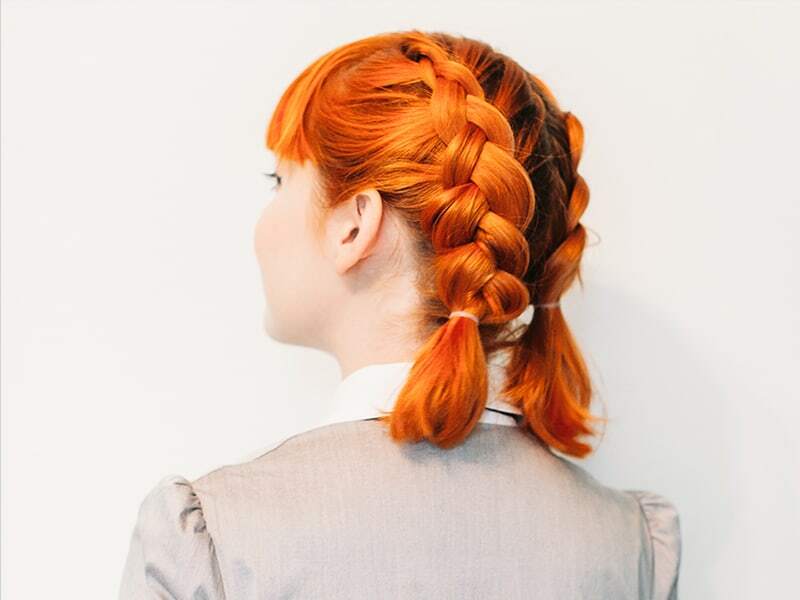 This hairstyle has a bit tangled, but you don’t need to worry about the regularity of the braid. Thai braid hair which is suitable when going to the gym, playing sports avoid sweating hair. It looks complicated, but it is easy to learn the Thai way. One trick is to loosen your hands, and your hair will be natural and oily while the skin will not be hurt. Pigtail hairstyle is the trend that many hot girls enthusiastically promoted. You don’t need to have smooth, long hair to test this lovely trend. Moreover, short hair has an advantage over long hair thanks to its physique. 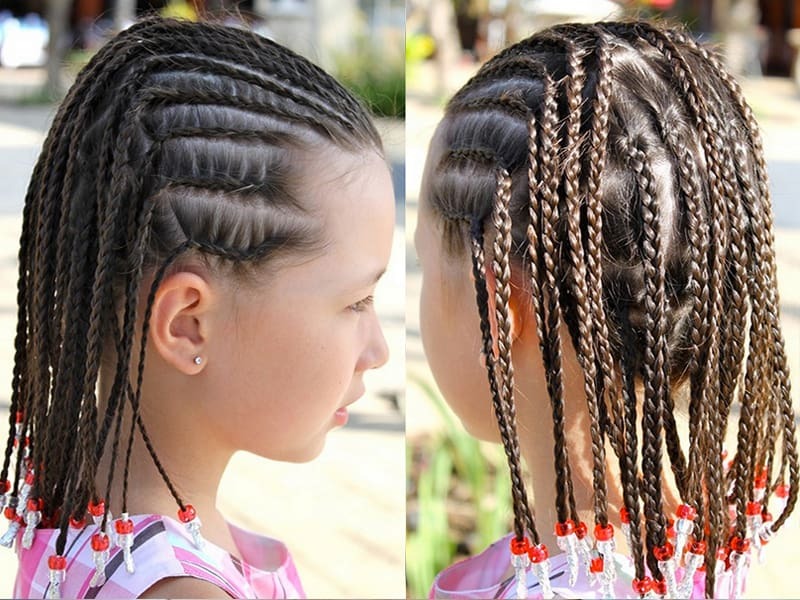 Furthermore, the combination of Thai braid and pigtails hairstyles will solve a couple of basic requirements including neat, fresh and fashionable hairstyle. Just a couple of three plaques to create tiny twin tails on both sides, you would become much younger and more adorable. How Vietnam Hair Suppliers Blow Up The Hair Extension Market? 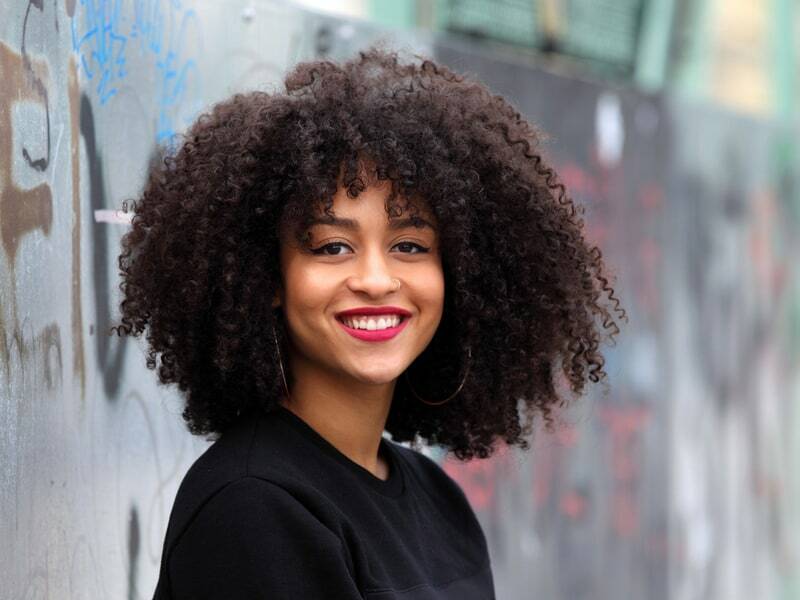 Besides long and short hair, curly hair also has terrific and attractive gym hairstyles. The layered hair is a hot trend with many world stars. 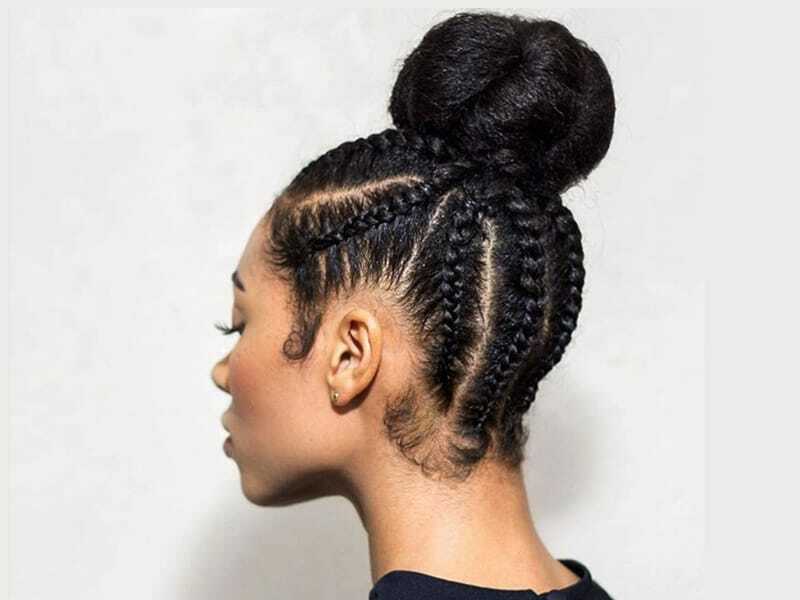 This type of bun fits very well with curly hair. Removing the 2-side hair in the bun will create a fresh feeling for hot days. 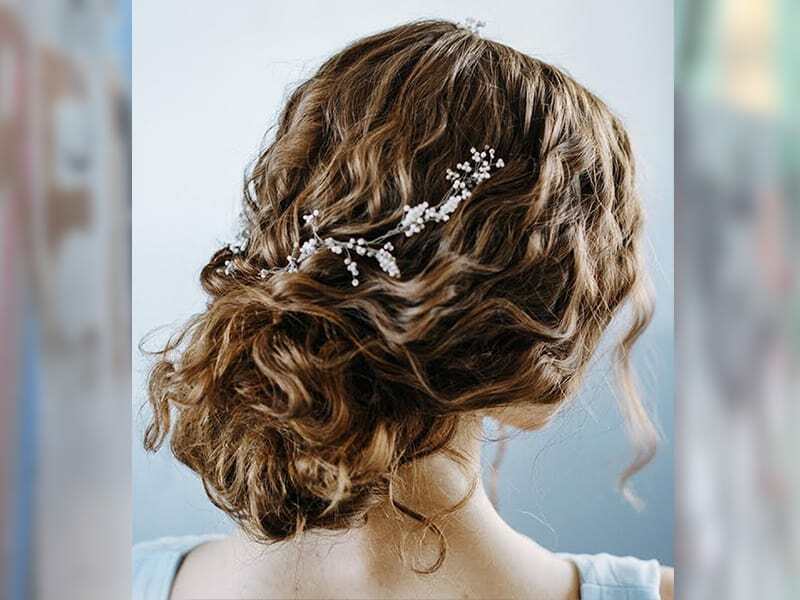 The tangled curly bang is a nice highlight for this hairstyle to keep the hair and style, and the girls can use pretty colorful clips. The simplest but also extremely effective hairdo is low bun hairstyle. All you have is a rubber band to grab all the hair from the back of your neck and tie it back. You can use a toothpick to keep your hair from opening. So you have a neat and pretty look. The particular thing of low column hair is that it is suitable for all styles of dress, from dynamic, personality and fashionable to elegant. Hope that after the post, you will find out the best gym hairstyle for your own. If you need more useful information about hair, you don’t forget to visit Layla Hair website to get more news.